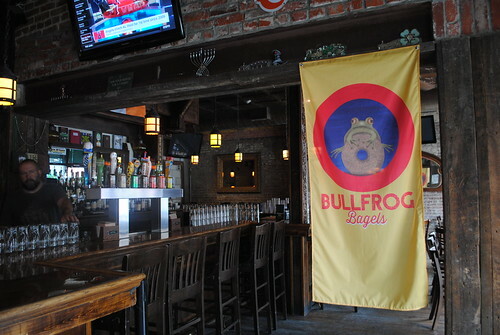 Bullfrog Bagels (7am-4pm Tuesday-Sunday) is up and running in their new permanent space inside of the Star and Shamrock (1341 H Street). They have an impressive little set up on the left side of the bar. I grabbed a bagel to go. 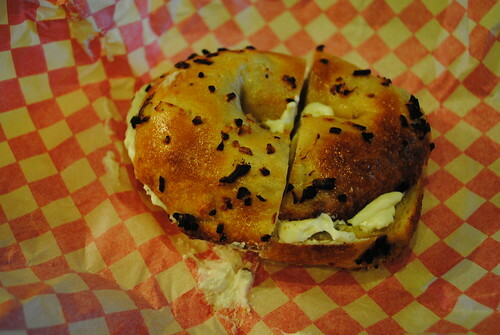 This is an onion bagel, sliced, toasted, and smeared with plain double-whipped cream cheese. It was definitely very tasty, chewy, and satisfying. 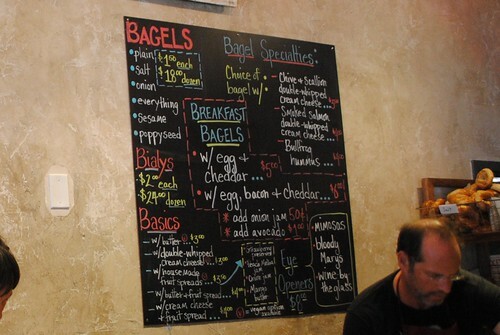 They had six bagel options today, and a number of toppings and add-ons available. Can't read the chalkboard? Try the website version. 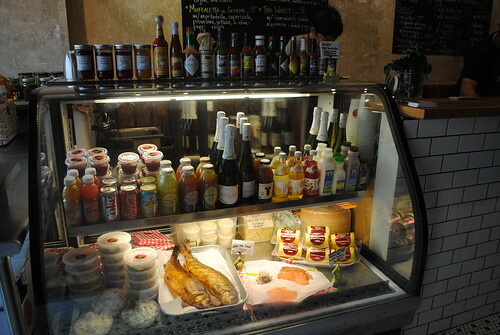 In the market for something savory? 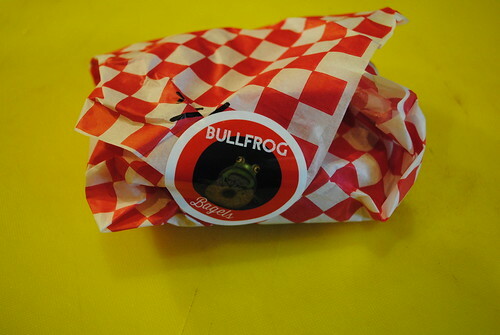 Try one of their speciality sandwiches. 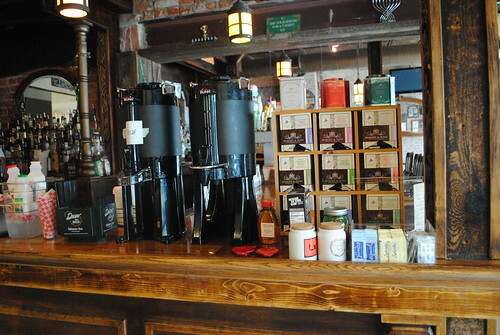 They've got a full set up for coffee, tea, bloody marys, mimosas, or wines by the glass. They also have a couple of coolers full of non-alcoholic beverages. 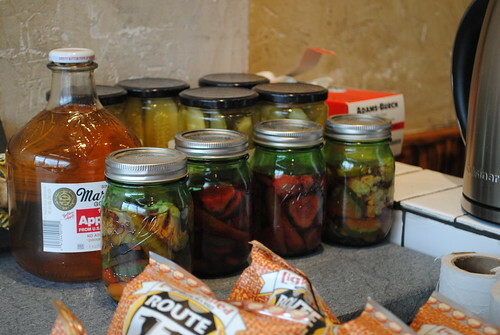 Homemade preserves with a line of hot sauces next to them. A small seating area near the window. 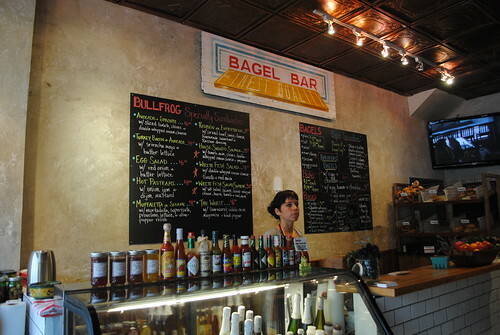 Tried the everything bagel today...excellent flavors!!! This place is for reals. 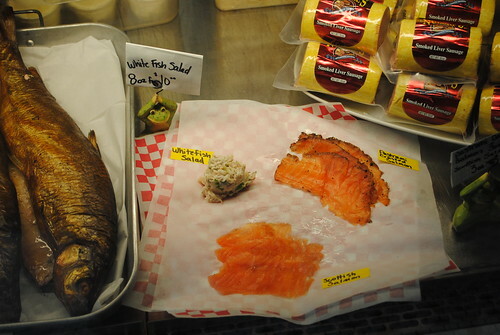 No capers on the whitefish salad? They have a lot to work out. Service was slow, there was no trash bin, they kept on walking into each other when preparing my bagel, and the lady who worked on my bagel "carried" cream cheese on a knife past a person before slathering it on my bagel, and i had wanted to eat in but they didn't give me that option. their set up is also disturbing... not intuitive at all. i was standing a bit back in wait and realized i was blocking the beverage setup. when i moved so someone could look at it, i was blocking a worker's path to the kitchen. can't win. 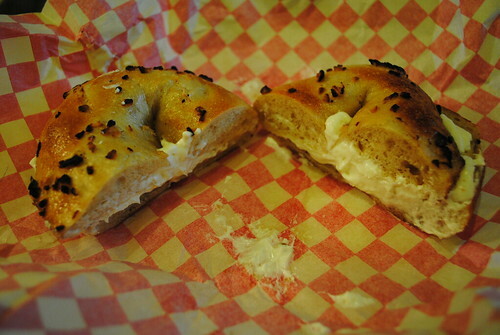 but..... their onion bagel and salmon whipped cream cheese were great! still, until they step up, I'm probably better off picking up bagels by the dozen and some tubs of cream cheese for when i have company but otherwise noshing at home or elsewhere when solo. 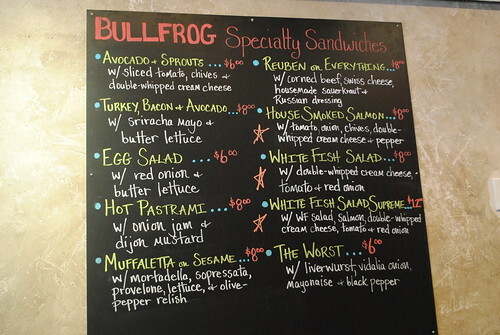 Ok, it is too crowded behind the counter, and the crew is a bit awkward when making a sandwich, but they are super nice and the resulting product is awesome. I suspect that they will get an even better work flow. 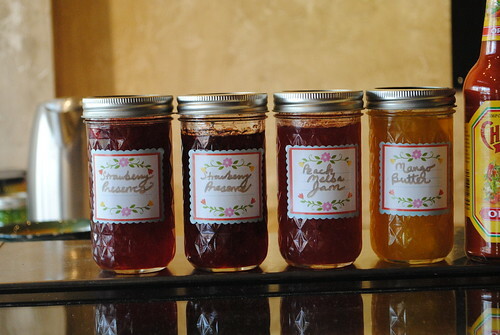 Tried them last week. Easily the tastiest bagel I've ever had. The service is slow, and I'm not sure the layout is working for them just yet. They will work these things out with time, I'm sure. For now, allow yourself a few extra minutes. That girl in the pic needs to turn her frown :( upside down :)! menu looks decent. 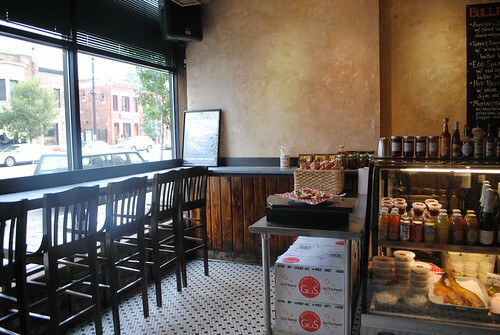 is the Star open during the same times as the bagel shop? They are closed on Mondays. "That girl in the pic needs to turn her frown :( upside down :)!" But how can she work at a hipster joint without that deliberately disengaged, disenchanted aura?